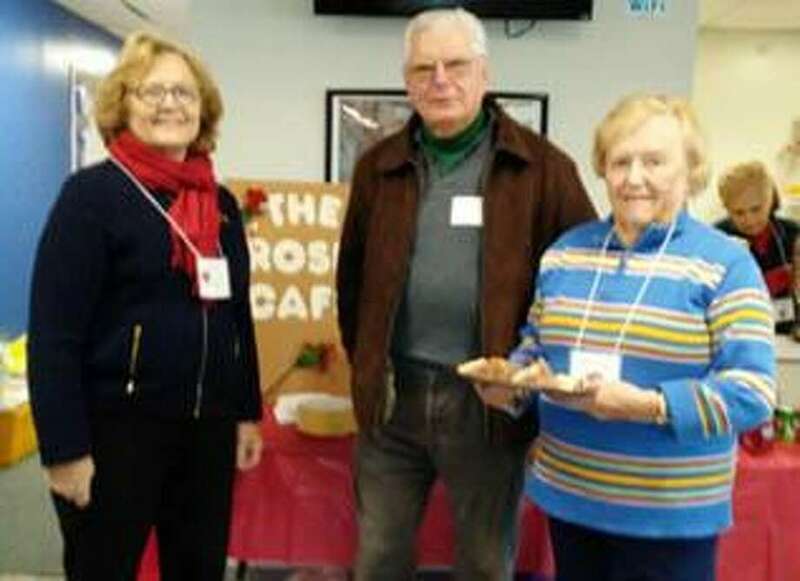 The Woman’s Club of Danbury/New Fairfield, which has members from the Greater New Milford area, recently participated in its annual poinsettia project. Four thousand poinsettias arrived at the PAL Building in Danbury Nov. 28 for the club’s 20th annual project. The plants were sold by members as the club’s only fundraiser. The sale raised approximately $20,000, which is given back to local charities within the greater Danbury area, including scholarships to the six local high schools. Above, from left to right, Linda Jowdy, Mike Chulkovs and Alice Flynn of New Milford take a break during the poinsettia drop-off.